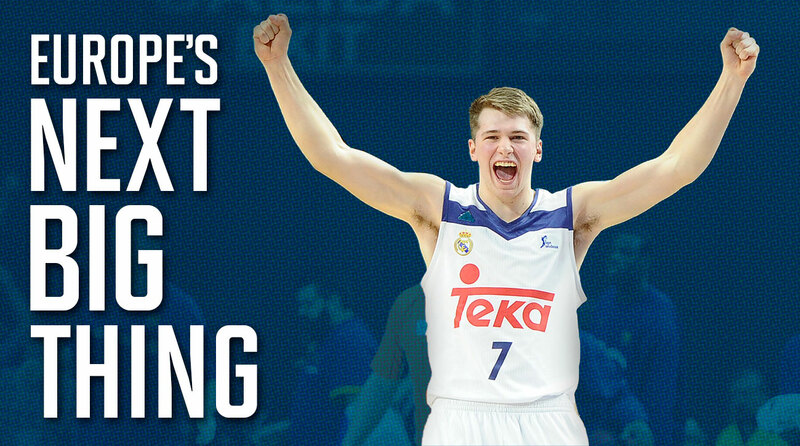 Want to know more about Luka Doncic, Europe's next big thing? Read these 10 things about the NBA prospect. The NBA draft conversation runs wall-to-wall for 12 months a year, so the odds are good that you’ve heard about Luka Doncic by now. But have you heard enough about him? Real Madrid’s teenage sensation is by all accounts the best European prospect in years. And in these murky prospect waters, where there’s a lofty label, there’s a hyperbolic one just around the corner. Those sorts of conversations and overreactions can be difficult to parse through even for American players. But Doncic is already in conversations for the No. 1 pick in next year’s draft, and it’s past time for a little old-fashioned due diligence. As such, The Crossover reached out to NBA scouts, European scouts and Euroleague opponents, pored over game tape, and did the legwork for you. Here’s the early lowdown, in 10 neat segments. He’s already played more meaningful minutes that have been televised, archived and analyzed than any player theoretically eligible for next year’s draft. Just because you can’t see something doesn’t mean it’s not there. If Doncic is mysterious, so were both World Wars, impressionism and the day-to-day affairs of the Pope. Those with subscriptions can watch his full games archived online, those without can watch breakdowns on YouTube, and those who work for NBA teams can go and see him play in Madrid at their leisure. Point being, alluding to Doncic with any sense of enigma, which is bound to happen over the next 11 months or so, is mostly show and tell. Doncic will almost surely enter next year’s draft, in which he will then hear his name called among the first handful of players, as perhaps the most accomplished basketball-playing European teenager ever. Any draft cycle will always bring unfair exaggerations and comparisons upon prospects from any country, university or planet, but Doncic, born in Slovenia, has done unprecedented things on the court at just 18 years old. That much is more or less a fact. In April 2015, Doncic made his first-team debut for Real Madrid and was the youngest player ever to do that. He was two months past his 16th birthday. Madrid doesn’t trot out Ronaldos or Bales on the basketball side, but nearly every player in its rotation has spent time in the NBA, played at an elite level internationally or both. He was brought along slowly, found ways to be productive, and last season was handed the keys to the offense whenever he was on the floor, playing roughly 20 minutes per game. Per 40, he averaged 15.7 points, 8.5 assists and nine rebounds in Euroleague play. He posted similar numbers in Spain’s ACB and shot 44% from the floor and 33% from three across competitions. He wasn’t just one of their top guys—at times he was their best guy on the floor. Chewing on Doncic’s numbers is actually more fun with context. Most of the European prospects that wind up in annual draft discussions are cutting their teeth on teams that traditionally play with and develop youth. A lot of Adriatic League teams do this, and clubs in other countries do too. Doncic is already a crucial part of a perennial Euroleague contender, as the lead ball-handler and playmaker alongside NBA-caliber talent. On his best nights, he’s on triple-double watch. It’s uncharted territory. The most recent analog here is Dario Saric, and that’s purely in the “young star competing at a high European level” sense. When Saric was 18 he was productive and starring for Cibona, but he didn’t taste Euroleague action until joining Anadolu Efes two seasons later, after he’d been drafted. Saric and Doncic are skilled playmakers but positionally apples and oranges, so the direct comparison isn’t especially helpful. Ricky Rubio will be another name in this conversation, but he didn’t taste Europe’s top competition until he was 19 and wasn’t nearly as efficient a scorer. I’m comfortable asserting that in a vacuum, not a single American kid his age could swing games, much less earn a coach’s trust at that level right now. When you think about the overall age curve, and that Doncic was starting to produce like this at 17, it’s clear this is a different animal entirely. 4. What does this look like on the court? Well, anyone can be an All-Star with a good video editor, but indulge in this YouTube mix as an appetizer, for now. You’ll at least see the impressive vision, comfortable set shot and body control and touch around the basket. That said, keep in mind that Doncic does miss in real life. So, there will be understandably high levels of hype this season. What’s missing in these seven minutes of Doncic is the level of craft to his game and the amount of responsibility he successfully handled last season. Scouts rave about his combination of skill level and mental makeup. He’s always under control, can handle heavy ball pressure and his turnovers are typically the aggressive kind, which is acceptable for a young kid. He’s an active rebounder, he anticipates well on defense, and he’s athletic enough to make a highlight dunk or block from time to time. Doncic understands how to create space using his body and with ball screens. He’s also 6’7”, which lets him see over defenses, keep his defender on his hip once he gets a step toward the basket and buys time for the play to unfold. Doncic throws pinpoint passes off the bounce to the corners and wings, makes teammates better and looks great doing it. He’s physically pretty mature, and so is his game. There just aren’t many legitimately huge playmakers this good at this age. This all sounds too good to be true, so what’s the catch? To be fair, any player can be nitpicked to death. For all his special qualities, the questions with Doncic will center around whether or not he can be a full-time lead guard. Let’s preface this with the caveat that he’s 18, but right now if he’s not handling the ball, he doesn’t really have a position yet. He essentially plays at two speeds right now: a measured halfcourt playmaking cadence, and pushing all-out on the break. He’s an outstanding ball-handler, but his size and high center of gravity precludes him at times from beating guards in isolation. Right now, Doncic doesn’t have the requisite shiftiness to consistently take NBA-caliber athletes off the dribble, and that could be a problem when longer defenders are inevitably marking him. He needs those in-between gears to take over an NBA game as a passer—and he’s so young that it’s not impossible for him to get there. Doncic isn’t a poor defensive player himself, but will have to slide down a position or two when he gets over here in order to compensate for his foot speed. Madrid often switched him onto the screener to avoid matchup issues, and with less space and fewer elite athletes to worry about in the European game, Doncic got by just fine on that end. He’s still not that long or explosive. He’s well-built and should still get physically stronger, but the game will speed up and get tougher. That said, these are hypothetical problems and Doncic clearly has the smarts and passing chops to play point guard. These questions are akin to those many had about Ben Simmons as a point guard two years ago. Whatever team drafts Doncic will want to do so with an eye toward empowering him to run the show. Secondary playmaker status seems like a safe floor, but if Doncic features more as a two-guard, his gifts will be more difficult to maximize. He’s an unselfish, visionary passer, not a takeover-type scorer, and in his best case scenario would be able to run the show. If you’re drafting in the top five, those are the risks and potential rewards you consider. 6. What Doncic game should you watch? If you want to watch one game, watch Real Madrid against Galatasaray from back in March. Doncic enters as a sub in the first quarter, posts five points, five rebounds and four assists in about 10 minutes and gives his team a boost. He comes back in with three and a half minutes left in the third quarter, his team trailing by 16. Doncic immediately starts to dictate the pace of play and never leaves the game from there. Madrid comes back but loses by three, and he finishes as a plus-19 with a 13/8/8 line on 5/8 shooting. Oh, and he had turned 18 literally two days earlier. 7. What can Doncic be in the NBA? I hate comparisons, but for comparison’s sake, let’s consider a best, middle and worst case from a production and role standpoint. If Doncic proves a viable lead ball-handler and equally capable off it as a shooter, developing his handle to where he can shift gears and dissect defenses, he could conceivably be a Gordon Hayward-type player who makes his teammates better and chips in all over the stat sheet. If his athleticism precludes him from doing what he does at a prolific level, he could end up in Hedo Turkoglu territory—and Turkoglu’s best few seasons with the Magic were certainly nothing to sneeze at. He profiles as a more natural playmaker and athlete, so there’s certainly upside to that outcome. And if it all breaks bad, well, we’ve seen what happens to oversized passers who struggle with change of speed and shot creation against NBA defense. That said, I’m willing to bet he winds up better than say, Kyle Anderson. When Doncic is dominating the league in five years, please don’t screenshot this and tweet it at me. 8. Where does he fit in the upcoming draft class? Well, it’s totally fair that Doncic is being mentioned in the conversation for the No. 1 pick. He’s earned it. He won’t fall far. It’s only August, but as best I can discern, it will still be difficult for a team to draft him ahead of say, a successfully reclassified Marvin Bagley. Right now I’d wager on Bagley going first, given he’s a fluid athlete who essentially has every skill you want in a modern big man. Porter Jr. might be the best nearly 7-foot true shooter we’ve seen since Kevin Durant, so he has that going for him. DeAndre Ayton and Mohamed Bamba are both exceptional prospects. Next year’s draft may not be as deep as the last one, but keep in mind there’s a lot of talent at the top. Doncic will have every chance to make his case, and additional responsibility for his club given the recent news that Real Madrid backcourt-mate and reigning EuroLeague MVP (and longtime Houston Rockets stash) Sergio Llull tore his ACL playing for Spain. 9. Who is Luka Doncic? We got this far without delving into Doncic’s personality, which has been closely guarded to date. Doncic signed with agent Bill Duffy earlier this year and has largely been kept from doing interviews, given that, you know, he was 17. As the draft approaches, that’s sure to change to some degree. 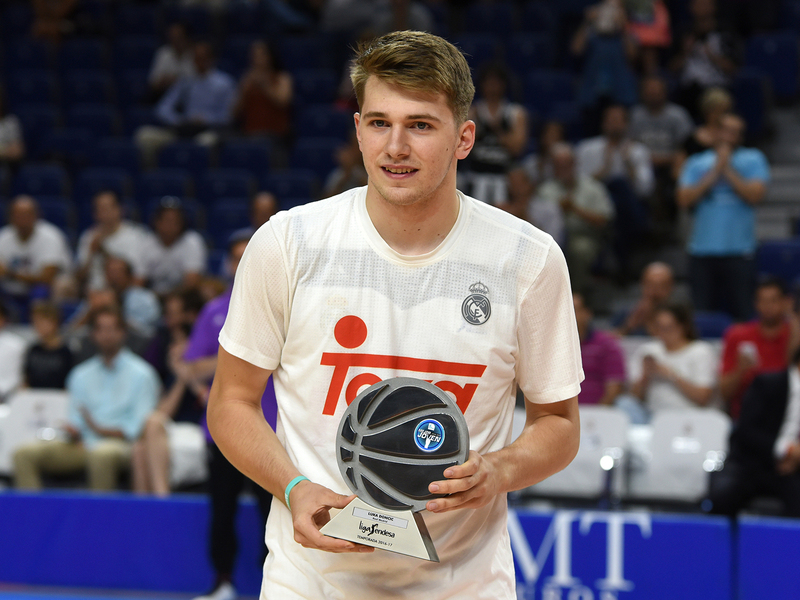 Doncic is by and large regarded as a good-natured, humble player who benefitted from the fact his father had a long professional career in Europe. Some brief Twitter stalking reveals that he follows a ton of soccer players, a ton of basketball players, Conor McGregor, Ariana Grande, Call of Duty, Game of Thrones, legendary New York sneaker store Flight Club and an account called “Best Earth Pics” that upon investigation is actually really great. Next on the docket for Doncic is this year’s Eurobasket tournament (the European Championships, for the unindoctrinated). This summer marks his maiden voyage with the Slovenian senior national team, after some speculation he’d play for Spain. His teammates will include Goran Dragic, Zoran Dragic, and Real Madrid co-star Anthony Randolph. Yes, that Anthony Randolph is now a naturalized Slovenian. Those games begin August 31 when Slovenia plays Poland, and many NBA scouts will be laying eyes on Doncic in person for the first time. The games will be streamed online, so you can pass judgment with your own eyes and enjoy meaningful summer basketball. To be fair, Rocket scientists and scientologists alike can already tell Doncic is pretty special. But if all goes according to plan, it only gets better from here. Is your team tanking yet?